The OMEGA Pavilion was officially opened by Swatch Group CEO Nick Hayek, President of OMEGA Stephen Urquhart, IOC President Thomas Bach and legendary swimmer and IOC member Alexander Popov. The four VIPs made their way around the Pavilion, posing in front of the timekeeping exhibition, taking a ride in the interactive bobsleigh simulator and watching OMEGA’s 3D speed skating video. 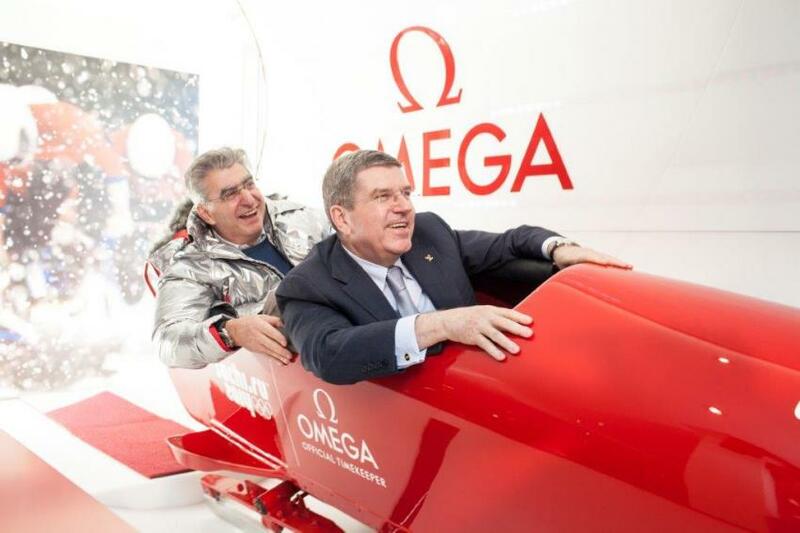 Nick Hayek and Thomas Bach in the bobsleigh simulator. 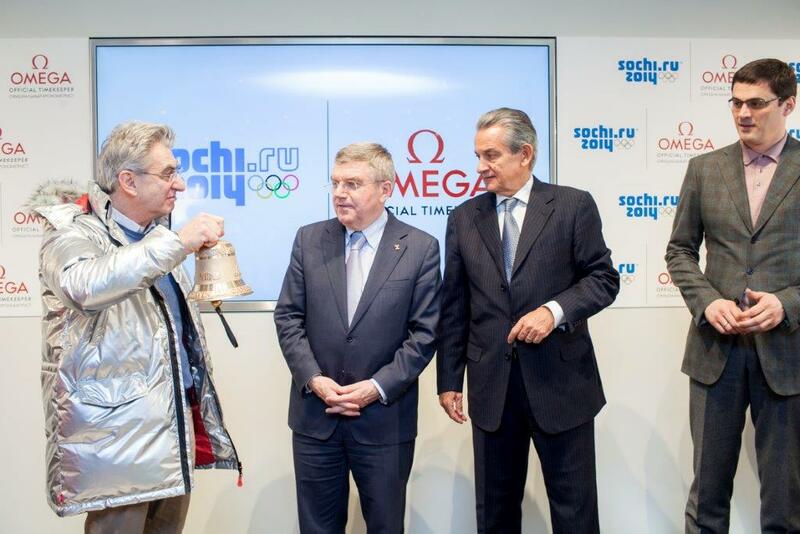 Mr Bach spoke highly of OMEGA and also of the relationship the brand shares with the IOC. The two-storey building will serve as the brand’s pop-up home for the duration of the Olympic and Paralympic Winter Games. OMEGA will host a number of events at the Pavilion including watchmaking demonstrations and question-and-answer sessions with a number of its prominent brand ambassadors. 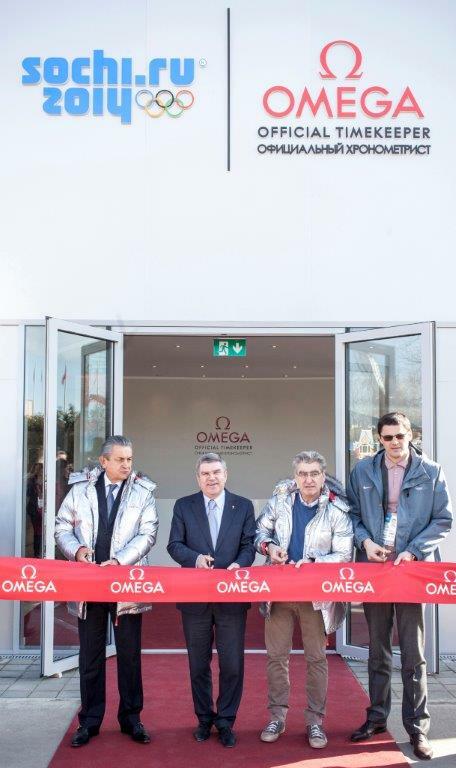 Spectators, athletes and guests can visit the OMEGA Pavilion and experience the interactive bobsleigh simulator, explore the art of mechanical watchmaking, browse OMEGA’s timepiece collections in the boutique and learn more about the Winter Olympic disciplines in a comfortable, branded environment. Starting 8 February, the OMEGA Pavilion will be open from 9 a.m. to 1 a.m. with special hours on Opening and Closing Ceremony days.